As the main growing season winds down and fall gardens are being planted across much of the country, you might think it would be time for me to post on fall gardening. Fall gardens are well-worth doing, but instead of jumping on that train I’m going to focus on what you can do right now that will make your spring gardens better than they’ve ever been. Gardeners, like most people, tend to think of their gardening in terms of one season. When you step back, however, and see how building up your plots and planning ahead will benefit your gardening for years to come, a whole new window opens. Having a long time horizon benefits you in more ways than just making money and investing wisely. In homesteading, it may mean you plant fruit trees rather than just corn… or buy chicks rather than buying eggs from the grocery store. 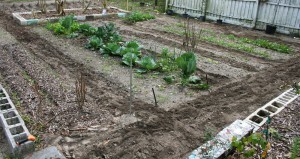 Planning ahead in your annual gardens also leads to much better results in the long run. 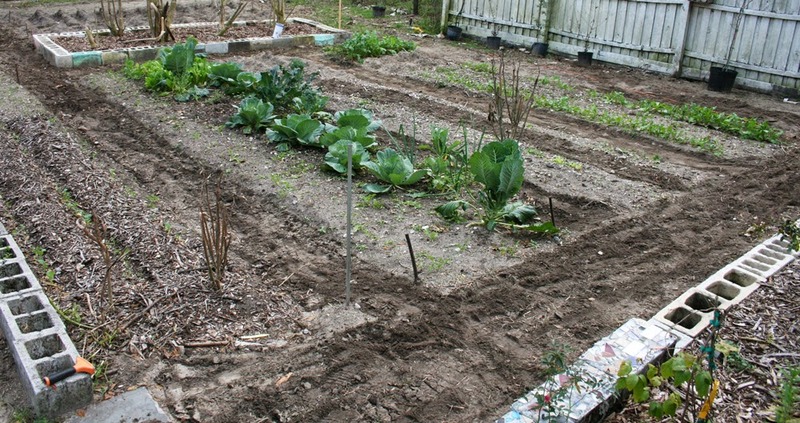 How can you plan ahead for a successful spring garden? Let’s take a look. I discovered the power of fall mulching back when I lived in Tennessee and was dealing with rocky clay in my gardens. I had bought a bale of straw for some purpose, then ended up not using it so it sat at one end of my garden. The strings had popped on it so the bale ended up a big sopping pile of rotten straw over the course of our rainy winter. In the spring I started raking it up and noticed something amazing: the ground beneath was richer and softer than the surrounding soil – and it was absolutely loaded with earthworms. They were everywhere.